Just found this and Brian does a great job. He has great knowledge and is a really good speaker. You wont find this info anywhere else. Straight dope on the business side of the sports world. Excellent time spent. Highly recommend if ur in the sports biz. I'm glad I found this podcast. I listen to it every week. It's great to find out about the business dealings going on in the sports world. Well researched and great interviews. Keep it up. It's a one of a kind. A great insight into the US sports market. Berger is a great host, very knowledgable and full of hard hitting insights. Guests are good and they get to the bottom of the real issues behind the stories they cover. A few minor glitches. It talks about College Football all the time, some weeks you wonder if you are just listening to a repeat of a pervious week. It also focuses on American sport far too much, from time to time they should feature non-US sports / events / teams / leagues, and foreign points of view as this will aid the listener. Finally, the music is terrible, it is like a bad under 17 pop concert. SBR is a credible sports show that shoots itself in the foot by playing awful sugary American pop music. A very good podcast though if you have any interest in the business of sport. If you are a pro sports fan then this is the MOST IMPORTANT podcast to subscribe to in 2011. With CBA's expiring in America's three largest leagues all this year, SBR can and will go beyond the quoting of sources and discussing of personal opinions to looking at the actual motivations and logic behind the labor discussions. It's a nice listen with a good host and great content. Even if you are not interested in more in depth look at the business side of the sports world this is a great listen. They have intriguing and knowledgable guests on the show regularly, including Basketball guru Sam Amick just this week and David Dunn (Aaron Rodgers and Mark Sanchez's agent) last week. It's also really refreshing to hear from another source than espn/yahoo/SI, as they each basically touch on the same flashy news or controversy and read the same quotes from the same sources. This podcast helps to understand the big picture rather than just the basic headlines of each week in sports. I HIGHLY RECOMMEND this for anyone who considers themself a sports fan. Sports Business Radio is one of the best, if not the best, when it comes to talking sports business. The show is current and touches on all the relevant aspects of sports biz, whether its talking to agents or commissioners or marketers. The interviews are definitely my favorite part of the show as they bring to light people that have their pulse on the industry but might not be known to many people other than other industry insiders. Providing the facts. A trusted source, no doubt. Thanks SBR! With a variety of exciting guests joining them in the studio, the show continues to impress me and leaves no room for dull moments or desperate attempts to fill air time. Informative and trustworthy, SBR will continue to enjoy success as one of itunes best podcasts and enjoyable sports radio shows. If I'm interested in obtaining sports knowledge, I turn on my TV and watch ESPNnews. If I'm interested learning the facts on deals and the business of professional sports, I tune into Sports Business Radio. Thanks guys! I don't write reviews often. I do listen to maybe 10 different podcasts. Mostly technology related. I listen while working out, running or riding my bike. I have been looking for podcasts that are entertaining and engaging. This is one of them. Really good content. Really good guests. Fun and lively. Definitely one that I look forward to! If you consider yourself a sports fan, then this is the radio show to bring your sports knowledge full circle. 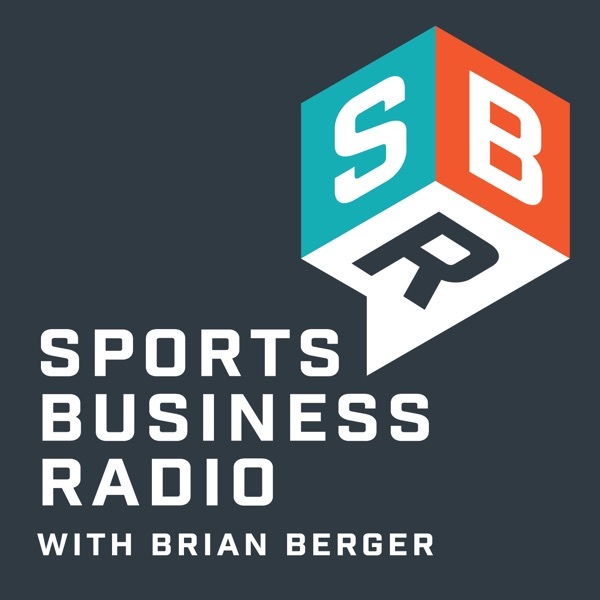 Sports Business Radio feeds my insatiable desire for behind the scenes information associated with the business side of sports. Working with athletes in this industry myself, Brian and Nathan are not only cutting edge with their guests and interviews, they bring accurate information about what I want to know, when I want to know it. Definitely worth subscribing. Great show. Very informative. If you have ever wondered what a signing bonus or how a contract works, these guys do a good job of describing the business side of sports. Very Informative Show with Great Guests! Sports Business Radio is unlike any of the other sports radio shows and podcasts that I listen to. Its a great way to learn about a side of sports not often focused on, the financial side. The show has great guests/interviews (from team owners to athlete agents). If you want to know more about the $$$ in sports than this is a great show for you.